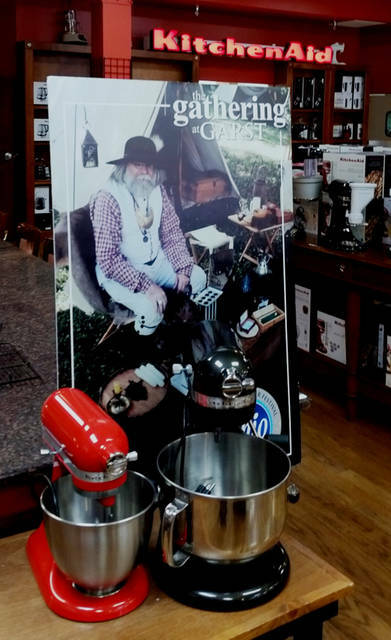 The KitchenAid store in Greenville promoted The Gathering at Garst. GREENVILLE – The Gathering at Garst made history in July as it welcomed 15,000 people to the grounds of Garst Museum. Visitors celebrated the history of Annie Oakley, Lowell Thomas and Chief Little Turtle. Helping to make it a huge success were sponsors such as KitchenAid. Visitors to the community not only enjoyed The Gathering at Garst but also shopped the sales in downtown Greenville – especially the legendary KitchenAid sale. The Garst Museum is located at 205 N. Broadway, Greenville. For more information, call 937-548-5250, email info@gatheringatgarst.com orvisit www.gatheringatgarst.com.